The Lancers managed to outscore the Eagles 89-55. Smith needed 13 points to pass the previous record of 1,716 career points held by Warren Daniels, who played on the Lancer squad from 1989-1992. Smith managed to score 23 points in the game and achieved an all-time record of 1,727 career points. Smith also said that he has more goals toward the end of this season. Smith also described the feeling of being the top scorer with the support of his team. Rick Croy, head coach of the men’s basketball team, said he is proud of Smith breaking the career scoring record. Croy also said Smith has grown as a player and improved significantly with each year on the team. Smith will continue to lead the team through the rest of its season. 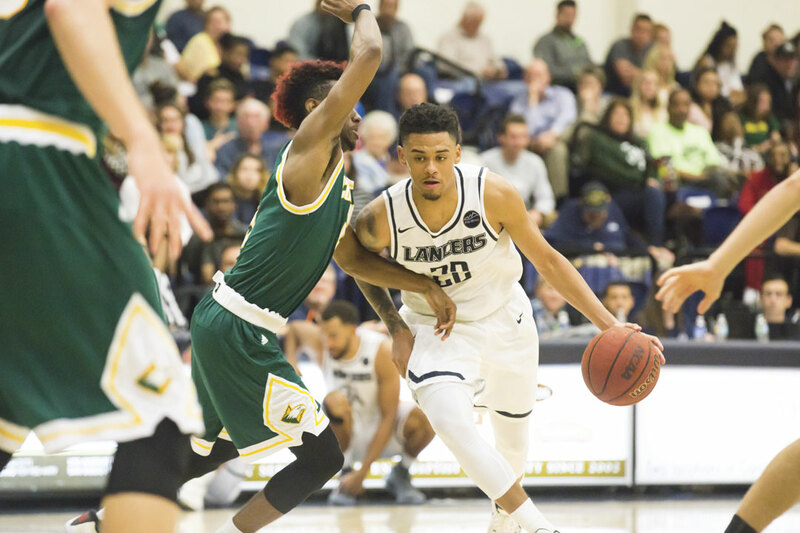 The Lancers will look to extend their winning streak and begin their four-game homestand Jan. 28 against Notre Dame de Namur University. The regular season concludes Feb. 25 at home against Point Loma Nazarene University.